On A Roll - Dan - The G.O.A.T. Dan Comstock has been running larps for 20 years. He loves live-combat fantasy games and has been making annual pilgrimages to big larp festivals in Germany. 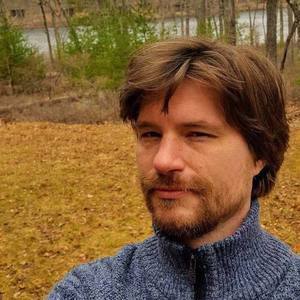 Dan is currently working on Dammerung, a dark ages viking game in Pennsylvania, and a revolutionary larp project called GOAT LARP in Connecticut. Goat Larp is destined to make all existing forms of larp obsolete. In the future, larps will be defined as "pre goat larp" or "post goat larp." In the year 2050, Dan plans to be standing around a guttering fire in the ruins of Goat World, reminiscing about how Goat Larp was incredible, before he sold out and it got so commercial. Dan - The G.O.A.T. has been a guest on 1 episode.